Ever wanted to have the chance to run on a major league baseball field? 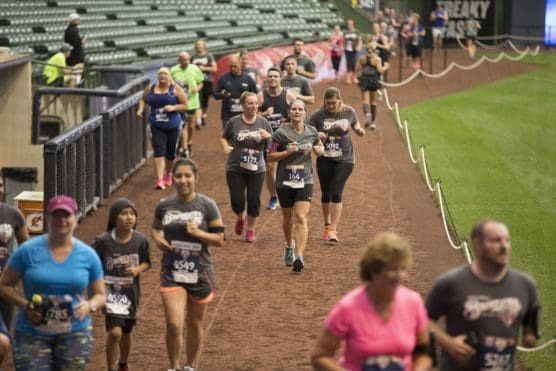 The Brewers Mini Marathon is a half marathon that allows runners a chance to circle the track around the ball field at Miller Park, the home of the Milwaukee Brewers. 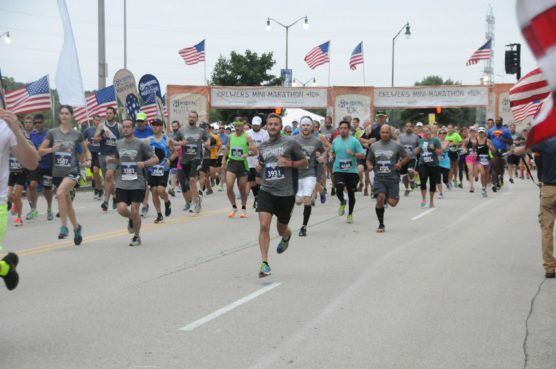 The 13.1-mile course around downtown Milwaukee promises great views of some of the city’s best-known landmarks like Miller Valley, the Harley-Davidson Museum and Doyne Park. 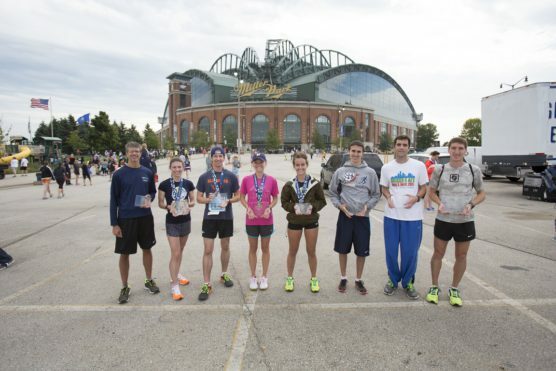 The loop course begins and ends on the Miller Park Plaza in front of the home plate gate. Runners start their first mile along Frederick Miller Way, named for the founder of the Miller Brewing Company, and whose name is found all over a city proud to have this man as part of its story. Runners next continue onto West Canal Street and then cross over the Menomonee River before taking a right turn onto South 6th Street, then making a turnaround at a traffic circle about half a mile down the road. After making the turnaround, runners keep going north onto North 6th Street with only a small detour to pass to Harley-Davidson Museum. This section of the course sees runners across the Menomonee River three times in this brief route alone. A left onto West Michigan Street leads runners past Marquette University and toward the 6th mile just before turning left onto North 35th Street. 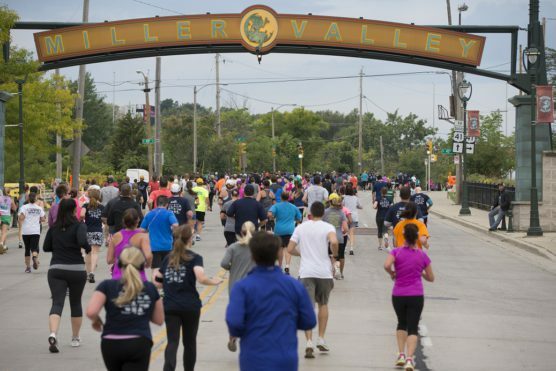 There’s no time for beer (yet), but runners then head north toward Miller Valley just before mile 9, home of Miller Brewing Company, where free tours are offered at the second largest brewing company in America. Runners continue west along West State Street and weave their way along Jacobus Park before turning around and retracing some of their steps, making their way through Doyne Park as well with a brief stint on Milwaukee’s Oak Leaf Trail. After returning to the roads, they then head right onto North 44th Street near the mile 12 marker, where the course heads south toward Miller Park. 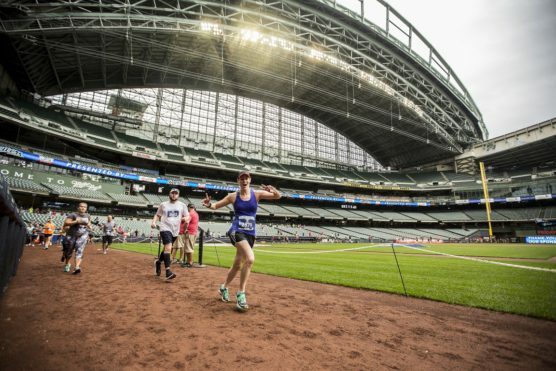 But the race isn’t over until you take a lap around the warning track inside Miller Park, all the way from the 3rd base side to the 1st base side, and past right field, where you’ll exit the ballpark and head into the finish chute. September usually brings ideal running weather to the lakeshore city of Milwaukee. Lake breezes tend to occur later in the day and should not be a worrisome factor in the morning. High temperatures this time of year tend to be in the 70s and lows in the mid-50s. On race day (Sept. 28), the average low is 56ºF and the average high is 74ºF. See the race route map for the Brewers Mini Marathon here. 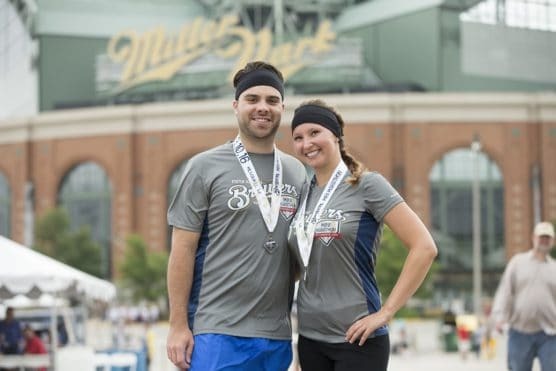 To reserve your spot in the 2019 running of the Brewers Mini Marathon & 10K, register online at RaceRoster.com here. Ever run in the Brewers Mini Marathon? Share your impressions here, or post your review in the Comments below.